June issue of IJCP, the International Journal of Clinical Practice. at the University of Ioannina, Greece. shown that symptoms can range from mild weakness to profound paralysis. they stopped drinking cola and took oral or intravenous potassium. while blood tests showed she had low potassium levels. to seven litres of cola a day for the last 10 months. causing a rapid reduction in his potassium levels. he had been complaining of improved. litres per person per year in the United States. and may vary in different patients” says Dr Elisaf. high levels of caffeine but no glucose or fructose. irregular heartbeat” says Dr Elisaf. muscular symptoms that vary from mild weakness to profound paralysis. Dr Packer agrees that the problem needs to be addressed. 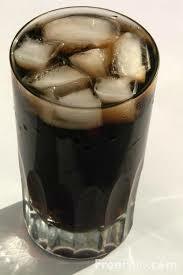 “Cola drinks need to be added to the physician’s checklist of drugs and substances that can cause hypokalaemia” he says. This entry was posted on Thursday, May 21st, 2009 at 7:42 am	and is filed under Health. You can follow any responses to this entry through the RSS 2.0 feed.